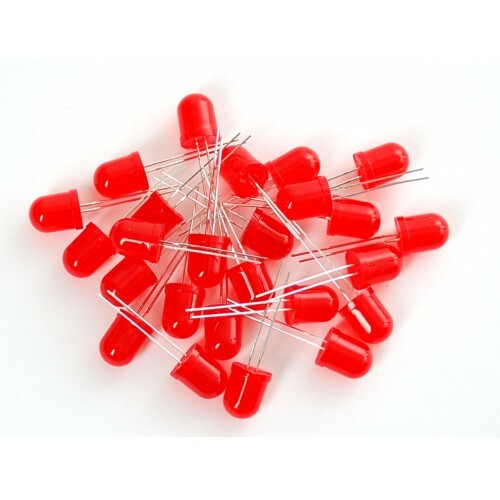 Buy online 10MM LED Red Color in India at low cost from DNA Technology, Nashik. Tired of using small led's as indicators? 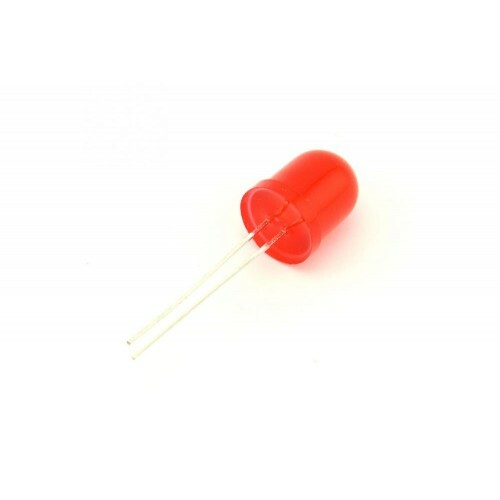 Try out these 10 mm led's in your next projects. Looks really big and cool. This is 10mm Red LED. The size refers to the outside diameter of the LED, with 5mm being the most common LED model. 3mm LEDs are the smallest and used in tight-fitting applications. 8mm and 10mm models are used to output as much light as possible. Super bright 10mm LEDs are extremely bright with a wide beam angle. They’re good for use in your projects, illuminations, head lamps, spotlights, car lighting, models or anywhere where you need low power, high intensity reliable lighting or indication. They have standard .1? pin spacing, which allows them to go easily into a breadboard and will add that extra zing to your project.